Writings: Fire ants are coming back! The Queensland Government is claiming it can eradicate fire ants while fire ants are re-infesting ‘fire ant free’ zones. In 2001, there were two separate fire ant infestations around Brisbane: one in some south-western suburbs and another in some north-east suburbs, including the Port of Brisbane and the Brisbane Airport. In 2012, the Queensland Government declared the Port of Brisbane free of fire ants. The Brisbane Airport and the rest of the suburbs in the north-eastern infestation dropped off Red Imported Fire Ant Restricted Area maps. 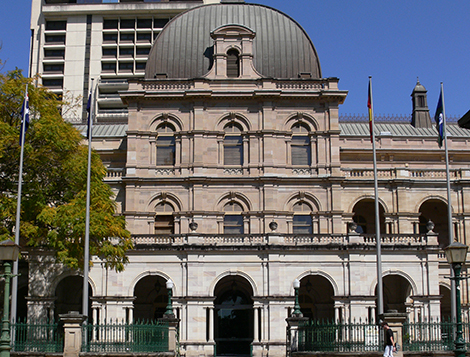 The Queensland Government claimed success in eradicating fire ants. But fire ants are coming back! As of 1 July 2016, the Port of Brisbane, the Brisbane Airport and the north-eastern suburbs that had been declared ‘fire ant free’ are now back on the map of Fire Ant Biosecurity Zones. By an amazing co-incidence, in February 2001, a gardener at the Port of Brisbane and a back-yard gardener in Richlands in Brisbane’s south-east, submitted samples of an aggressive ant to the CSIRO. They were both red imported fire ants, but genetically different. This meant that fire ants had invaded Brisbane on two separate occasions. The government’s intensive surveillance program revealed two well established fire ant populations that were probably about ten years old. They covered about 33,603ha in the south-west and about 9,444ha in the north-east. A Fire Ant Control Centre was set up at Oxley in the south-west and another was set up in the north-east. The northern control centre surveyed and treated infestations in Nudgee, Geebung, Banyo, Pinkenba, Eagle Farm and the Brisbane Airport north of the Brisbane River and Lytton, Wynnum and Hemmant south of the Brisbane River. The Port of Brisbane in the north-eastern infestation, is Queensland’s largest port. It was treated intensively. The Port handles millions of tonnes of cargo each year; exporting coal and cotton and importing motor vehicles. A fire ant infestation would jeopardise this huge amount of trade. The Port of Brisbane Corporation, now the Port of Brisbane Pty Ltd, in partnership with the Queensland Government, commenced their own intensive fire ant program on 21st March 2001, well ahead of the Government’s main program. The Port covers about 750ha at the mouth of the Brisbane River – much of it under concrete. The whole area was baited by air four times. A dedicate team detected and injected 631 nests, even drilling through concrete to get to some of them. After eleven years of constant surveillance, the Port was declared provisionally free of fire ants at the end of 2012. The chemically intensive regime used at the Port is not one that could be repeated in residential or agricultural areas. The government run program operating in the rest of the north-eastern infestation had its own problems. There was no disposal site in the north-east where businesses and residents could dispose of infested soil. Eventually, the Brisbane Airport Corporation agreed to used infested soil from commercial operators as land fill, but not from residents. The north-eastern infestation got bigger when two infestations were found, 12 km from the nearest infestation, in a residential development in Wellington Point. Redlands Shire Council was concerned about businesses and residents illegally dumping fire ant infested soil because contractors were charging clients extra to dispose of soil properly. Nevertheless, by October 2013, all of the north-east infestation had disappeared from the Queensland Government’s Red Imported Fire Ant Restricted Area maps. The Port of Brisbane, Lytton, Wynnum, Hemmant, Wellington Point, Nudgee, Geebung, Banyo, Pinkenba, Eagle Farm and the Brisbane Airport had all been declared free of fire ants.